Vastint Poland is a developer of commercial projects and manages a portfolio of real estate properties. The Polish organisation was established in 1992. Our portfolio includes various commercial real estate properties: office buildings, business parks and hotels. In the future it will also include residential and multi-functional projects. Our schemes are recognised for providing a modern corporate image, along with functionality and environment-friendly solutions. We have built a successful real estate business based on long-term relationships with our clients. This can only be achieved by devoting the time and effort needed to meet and exceed the goals and expectations of our clients. This approach assures clients that they have made the right decision when choosing the properties of Vastint. 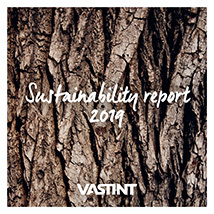 Vastint works towards positive long term social, economical and environmental solutions and developments. All new buildings and refurbishments shall have an environmental certification, preferably according to internationally recognised certification systems. As high certification as reasonably possible shall be strived for, taking into consideration the circumstances of the individual project and the overall market situation. For 25 years we have gained experience in investing and developing properties in Poland. Our brand attributes include reliability, professionalism and long-term relationships with our clients. Our documented achievements confirm both the quality of services rendered to our clients and the attractiveness of the projects we develop. SwedeCenter is established to expand the activities in Poland. Opening of the SwedeCenter building (11,000 m²) in Warsaw, where the first IKEA store in Poland was located. Opening of the Cracovia Business Centre (12,000 m²) in Krakow. Sold in 2006. University Business Centre I completed (12,000 m²) in Warsaw. Sold in 2005. University Business Centre II in Warsaw is completed (18,000 m²). Sold in 2005. The N21 office building (3,400 m²) in Warsaw is purchased. After being refurbished, the building is sold in 2011. Acquisition of the first part of the land for the Portowo project in Poznan (~10 ha). Acquisition of land (7.4 ha) for the Business Garden Wroclaw project (110,000 m²). Completion of the two office buildings Brama Portowa (13,000 m²) in Szczecin. Completion of the Mera Spa Hotel (13,000 m²) in Sopot. Completion of Business Garden Warsaw Phase I (32,000 m²). Opening of the Sound Garden Hotel (7,500 m²) in Warsaw. Acquisition of a site in central Gdansk for residential and hotel development (23,000 m²). Commencement of Business Garden Wroclaw I (37,000 m²). Commencement of Business Garden Warsaw II (65,000 m²). Completion of Business Garden Poznan I (42,000 m²). Completion of the multi-functional complex Gdynia Waterfront I (20,000 m²). It consists of an office building and a Courtyard by Marriott hotel. Business Garden I completed (37,000 m²) in Wroclaw. Completion of Business Garden Phase II in Warsaw (65,000 m²). Development of Business Garden Wrocław II started (79,000 m²). Commencement of the first residential project on the Polish market - Riverview (282 apartments).